The St. Regis Dubai Al Habtoor Polo Resort & Club is a marvellous resort providing a serene level of sophistication in a top-class city. Ideally situated in Dubai, it is close in proximity to the key places of attraction in the city. If you want to experience unparalleled service and uncompromising luxury, then you don’t need to look further than this spectacular resort that sits within the global polo circuit. As the resort nestles around four polo fields, you can enjoy the magnificent views of the top-quality horses or head to the polo academy to enhance your show jumping skills, polo and dressage. The 151 elegantly designed guest rooms include 25 villas and 30 suites. They overlook the plush polo fields, making your stay memorable. 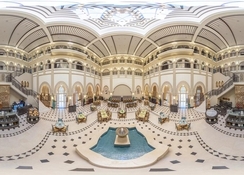 From amenities to services, the 5-star experience in the resort will not be less than regal. 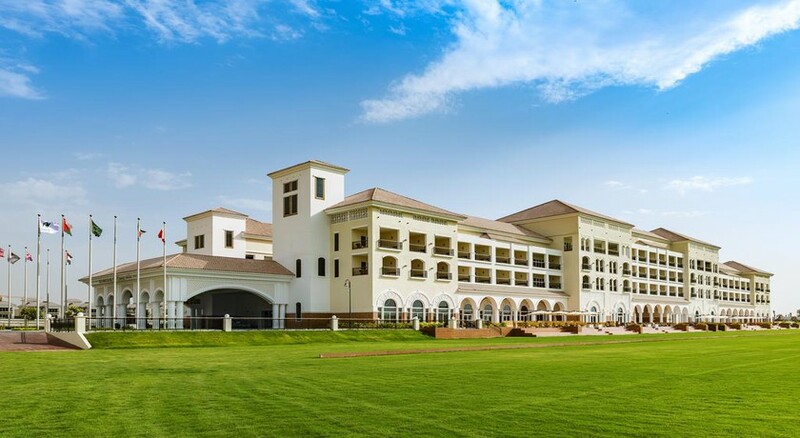 The St. Regis Dubai Al Habtoor Polo Resort & Club is just 20 minutes’ drive away from the Downtown Dubai, making it convenient for the guests to visit various attractions and shopping malls in Dubai. If you are visiting Dubai for satisfying your luxury shopping needs, then head to the Dubai Mall, which is about 32km from the resort. If you are a beach lover, then hit the Jumeriah Beach, which is about 33km from the resort. The Dubai International Airport is about 32km from the resort. 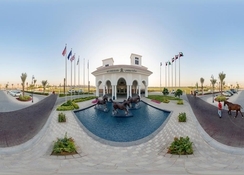 The St. Regis Dubai Al Habtoor Polo Resort & Club features 151 spacious guest rooms that include 25 villas and 30 suites. The rooms, suites and villas fall in seven categories, including Deluxe Room, Deluxe Room with Polo View, Lady Astor Suite, St Regis Suite, Royal Suite, St Regis Villa and St Regis Villa with Polo View. All the rooms have all the necessary amenities, including air-conditioning, Flat screen TV, bathrobes, toiletries, In-room service and much more. 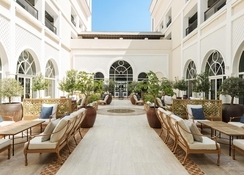 There are multiple dining options and bars at The St. Regis Dubai Habtoor Polo Resort that include Andalucia, The Grill Pit, Taperia, St Regis Polo Bar, Equestrian Lounge and Oasis. Hit the Andalucis Restaurant to experience the lip-smacking flavors of Mediterranean Cuisine or head to the Grill Pit with eye-catching interiors to satisfy your appetite with Steak cuisine. Head to the Oasis Bar for experiencing Arabic cuisine and drinks. For tea and snacks go to the Equestrian Lounge. The resort has abundant sports and leisure facilities to keep the guests engaged and entertained throughout the day. Play tennis on the dedicated outdoor tennis court that is well positioned next to the pool deck. You can avail branded tennis rackets on hire in case you don’t have your own racket. There is an Archery, Driving range, Croquet, Multicourt hire, mini golf and stables tour. The resort also provides polo introductory sessions for the beginners. Kids too can have fun in the Kids club in a captivating and exploratory play area offering joy in a safe outdoor and indoor environment. Other than this, there is a swimming pool, where guests can take a relaxing swim.